Review of Liu Jianping (刘建平). 2010. Zhanhou Zhongri Guanxi: “Bu Zhengchang” Lishi de Guocheng yu Jiegou 战后中日关系：“不正常”历史的过程与结构 [Sino-Japanese Relations after World War II: Abnormal Historical Process and Construction] (In Chinese). Beijing: Shehui Kexue Wenxian Chubanshe. 283 pages. Liu (2010) takes the 2008 survey as the starting point of this book to elucidate the “abnormal historical process” of the Sino-Japanese postwar period. According to Liu, the discussion on postwar Sino-Japanese relations is deadlocked. Scholars on both the Japanese and Chinese side provide limited perspectives and the debate itself lacks logical foundation (6). The author therefore attempts to set out a new framework to view the relations between the two nations. According to Liu, the study of Sino-Japanese postwar relations requires a broad perspective and cannot be isolated from the overall history of postwar international politics (25-27). The author highlights two topics from which he analyzes the postwar developments between the two countries: the broader East Asian communist movement and the Cold War. Why did the postwar Chinese government stress the importance of “friendship” with Japan although their nation was severely victimized by the Japanese? Why did “people’s diplomacy” become the main goal of Chinese leaders in their Japan policy? According to Liu, these questions are essential in order to understand postwar Sino-Japanese relations (28). The answers can be traced back to the influential figure of Sanzo Nosaka, co-founder of the Japanese Communist Party, who helped the Chinese fight the Japanese invasion in Yan’an and was in charge of the “re-education” of Japanese prisoners of war. Sanzo’s main work was focused on the idea that the Chinese and Japanese ultimately, side by side, had to fight Japanese imperialism together. He conceptualized a common idea of a “Japanese people” that was deeply connected to China (42-49). Liu argues that China’s postwar diplomatic relations with Japan were viewed through the communist idea of the “friendship between the people of China and Japan”, established under the leadership of Sanzo Nosaka. In this context, the concept of “the Japanese people” is a specific one; it is that part of the Japanese people that is anti-war, rejects Japanese imperialism and militarism, and stresses the friendship between China and Japan (49). By acknowledging this group of Japanese as “the Japanese people”, the Chinese government made a distinction between “the people of Japan” and “the government of Japan”. This, ultimately, is the source of China’s so-called “people’s diplomacy”. Liu names various examples of China’s postwar “people’s diplomacy”. The postwar repatriation of Japanese soldiers, the renouncement of China’s right to compensation for war crimes and the release of Japanese war criminals are all explained as forms of Chinese people’s diplomacy. The main goal of this type of diplomacy was to eventually normalize Sino-Japanese relations (80). The author sees the Cold War as the episode that disturbed China’s “people’s diplomacy”, and therefore also negatively influenced its relations with Japan. Whilst the Chinese government still aimed to positively develop the “friendship” with Japan, Sino- Japanese relations got caught amidst the Cold War. As Japan sided with America, the communist power within the nation declined. This created an imbalance between China’s “people’s diplomacy” and Japanese foreign diplomacy. Liu argues that “people’s diplomacy” is the exchange between united groups of people that is not directly aimed at the benefit of its own nation (262). The Realist outlook of the Cold War international society left no room for this kind of diplomacy, since foreign diplomacy was now only used to benefit the own nation (266). Although China invested in its relations with Japan through people’s diplomacy, its actions were not returned or acknowledged by Japanese leaders. Liu sees the impasse in Sino-Japanese relations as a logical consequence to this unequal arrangement (263-266). The present Sino-Japanese situation is characterized by periods of normalization and worsening. 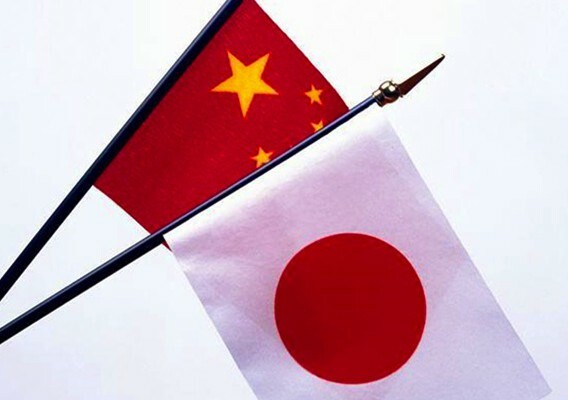 China and Japan face a Catch 22. Since the 1980s, the Japanese glorification of war, official visits to Yasukuni shrine and textbook controversy all gave rise to the “history problem” that intensified Chinese resentment to Japan. At the same time, anti-Chinese sentiments in Japan keep growing due to China’s continuous investigation into war history. 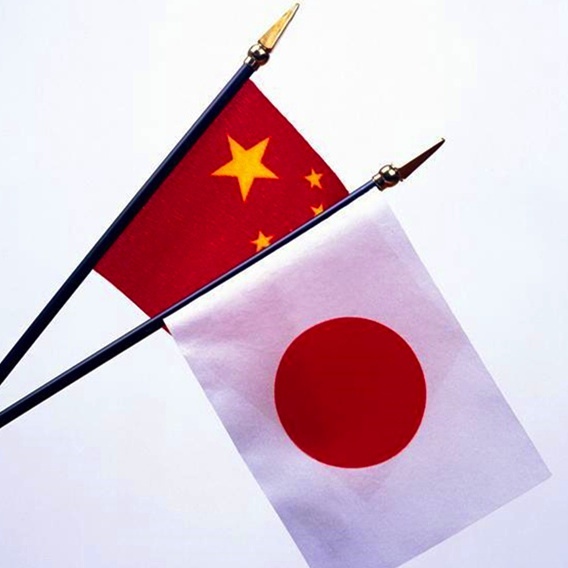 As the Yomiuri/Xinhua survey has revealed, Japanese public opinion has turned against China. If Chinese and Japanese academics do not work on a communal discourse of war, based on an intellectual foundation, Sino-Japanese relations will remain in deadlock. With this work, Liu’s research provides fresh insights into the topic of postwar relations with China and Japan. Liu clearly explains how the friction over history between China and Japan did not occur overnight; the roots of the problem need to be traced back to the 1940s and 1950s, when the Chinese government set up its model on diplomatic relations with Japan under the influence of Sanzo Nosaka and the East Asian communist movement. This still impacts the way Chinese government deals with Japan today. When this understanding of China’s Japan diplomacy is not taken into account, the entire debate loses validity. In this way, Liu has succeeded in producing a sharp and original work. This is impressive, since the topic has been researched by countless academics before. Liu’s work, however, does lose a fraction of its credibility in its discussion of China’s “people’s diplomacy”. According to the author, it is a “great mistake” to perceive China’s diplomacy method as a “strategy” for future purposes. Throughout the book, Liu stresses the idea that “people’s diplomacy” on Japan ultimately needs to benefit the people of Japan, since the future of Japan lies in the hand of its people (45). The Chinese government, from this perspective, is compassionate and willing to self-sacrifice to serve the people of Japan. Even from a non-Realist point of view, this argument is not convincing, as it almost turns Chinese leaders into saints. The message of the book would have been more powerful if Liu had took a less admiring and more critical stance towards the Chinese government. Liu’s research generates many views on postwar Sino-Japanese relations to both agree and disagree on. In any case, his work deserves praise for the innovative way in which he reconstructs a history that seemed to be at a dead end. As the title of the book suggests:“不正常历史的过程”.